 MCS Cargo Sales, was born as a GSSA in 2001, to offer on one side, a solution for Freight Forwarder's needs of export air transportation; and on the other side, to offer Representation; and an experienced sales force, in the national market, to those airlines with or without operation in the country and/or region. Since 2009, we offer domestic air transport services through our own Virtual Airline, with IATA code (3rd Party Logistics Code) "A02", supported on a strategic alliance with Volaris Cargo. Mission: To allow each Airline to establish an identity in “on-line” and “off-line” areas, while earning revenues with no overhead investments. As well as to allow Freight Forwarders to consider our committed customer service, part of their team in order to facilitate their job. Vission: To become one of your best business associates.